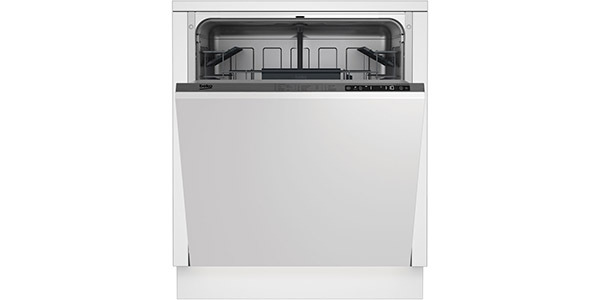 It's hard to imagine what else you could want from a dishwasher to justify spending more. This Bosch really is the business. If you've got £500 to spend then you really can't go wrong with this. 10 out of 10 buyers recommend it - what more do you need to know? 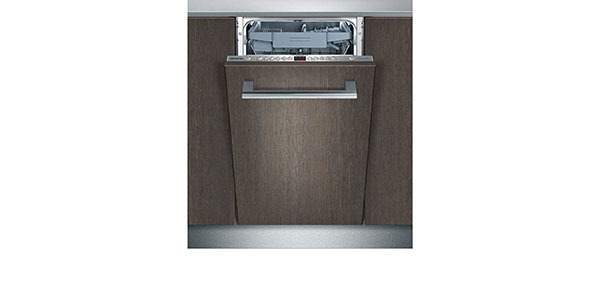 This Bosch dishwasher is semi integrated meaning you can fit a kitchen unit door but leave the front facing control panel visible at the top. The control panel is very easy to use and not as fiddly as other built in models where all the controls are crammed onto the small strip along the top edge of the door. The dimensions of the unit are 81.5 x 59.8 x 57.3 cm. It has an LED display with options and programmes which are clearly marked. 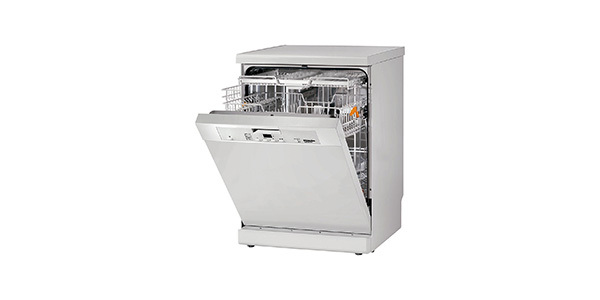 It features an enhanced pump action which boosts the water pressure to ensure the water circulates optimally leaving dishes sparkling clean . 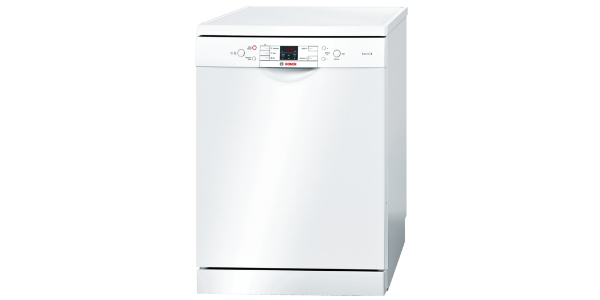 For large items, such as heavily soiled serving dishes and pans, the top basket can be removed completely and a shower head attachment fitted which gives those large burnt on items a good shower and wash – now that’s a tidy feature you won’t find on most machines. The Exxcel SMI53E05GB only has 5 programmes and 4 temperature settings but they are all very efficient. 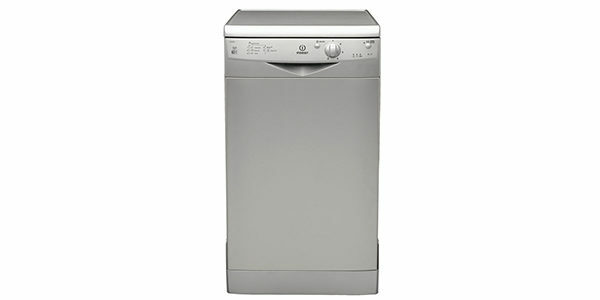 The programmes include an intensive wash, pre rinse, eco wash and delicate wash. There is also a speed wash option which increases the wash temperature in order to reduce the cycle time by 50% (great if you’re in a hurry, not so good for the planet, so ideally not for everyday use). 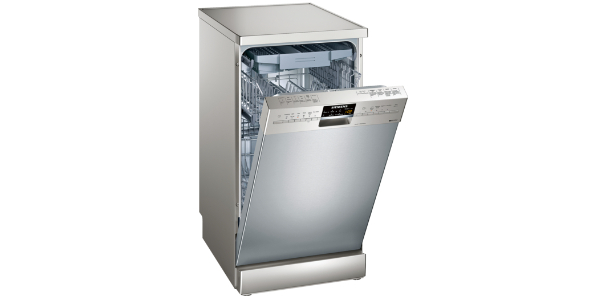 The dishwasher has a half load option if you only have a few dishes. It’s nice and roomy inside and can accommodate 13 place settings so is perfect for the larger families or if you are entertaining. The SMI53E05GB has adjustable racking and the top basket can be arranged at 3 different heights, it has a wine glass rack and a knife rack plus removable cutlery basket. There’s a salt indicator and rinse aid indicator, it has a child lock and anti flood device which could prevent major damage to your kitchen if the pipework springs a leak. It has a 24 hr delay timer which means you can set the appliance to run at any time, overnight for example, to take advantage of the cheap electricity deals. It has VarioFlex baskets which are nice and tough. “Excellent purchase” was a phrase frequently used by customers, “not disappointed” was another. 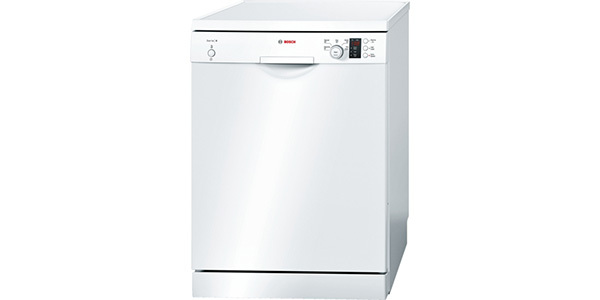 They said the cleaning power was excellent and that the appliance was a good quality build and very roomy. Click here to read their comments – just to give you a teaser 10 out of 10 people said they would recommend this machine to a friend. You can’t get a much better recommendation than that! This model features a sensor which means only as much water as necessary is used according to the size of the load and/or how dirty the dishes are (clever stuff!). It also has a self cleaning filter which cuts down on maintenance. This appliance will cost approximately £39.03 per year to run. It will use 0.92 kWh and 6 litres of water per cycle. This amounts to 262 kWh and 1680 litres water per year. And finally, the unit runs at a very reasonable 48dB meaning the noise shouldn’t bother you at all, even if you have a combined kitchen and dining room. Could anyone tell me just how long the ‘quick wash ‘ is on this dishwasher.